Sometimes you just come accross a sweet spot and if you're lucky you were paying attention at the time. Zodiac's RIB 290 is just that, a sweet spot. It's the boat Goldilocks would have picked if she was talking to dolphins instead of bears. 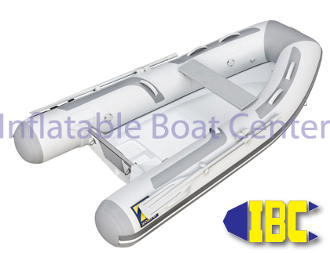 The Zodiac RIB 290 isn't too big, nor is it too small, it's just right for being a dinghy with purpose. As a grocery getter or people shuttle it works hard and looks good. Often times when people come aboard the first thing they see is the dinghy that picks them up on the beach and if it's not suited to the job their impression is less than favorable. When people judge their experience afloat by dinghies isn't it prudent to put your best foot or dinghy in this case forward? Light, stable, good looking, capable, and above all else fun! Zodiac the inventor and innovator does it again with the Zodiac RIB 290.